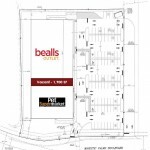 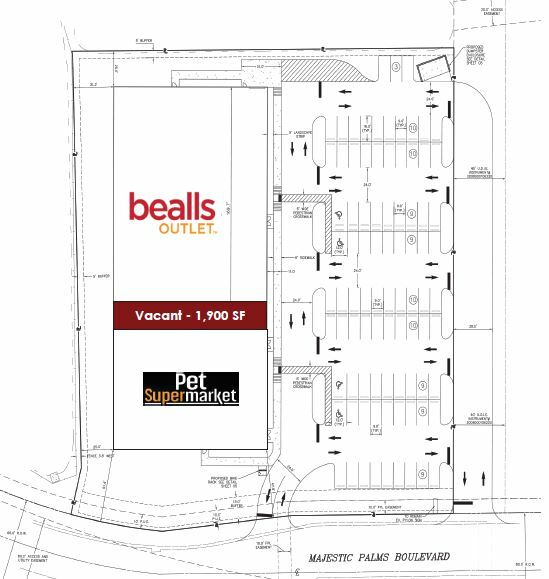 RSA has developed a 29,900 SF building anchored by a 20,000 SF Bealls Outlet and an 8,000 SF Pet Supermarket with an available 1,900 SF opportunity. 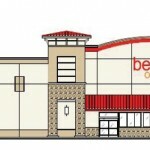 Join Target, Bealls Outlet, Dollar Tree, Verizon and Pet Supermarket. 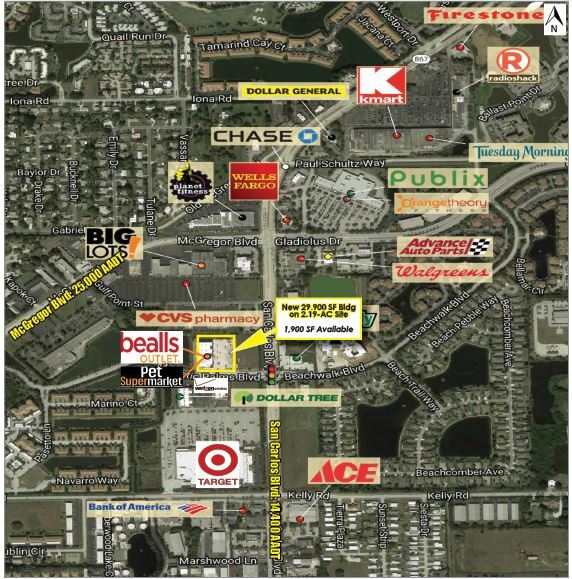 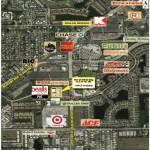 The 2.19-AC site is located on San Carlos Blvd at Majestic Palms Blvd just south of Gladiolus Dr in Fort Myers. 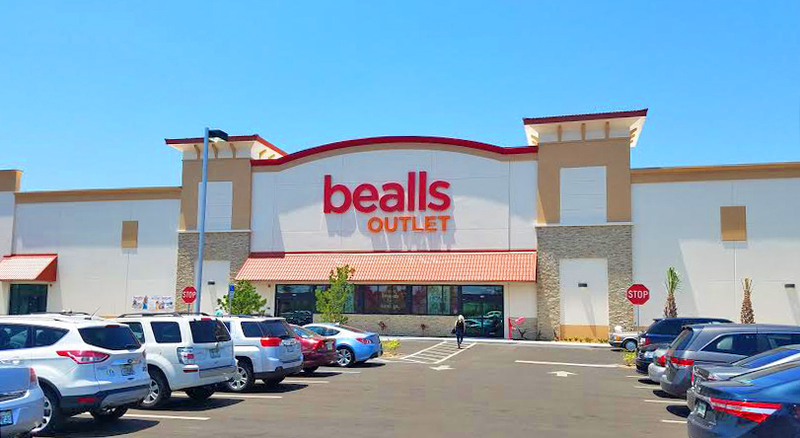 There is a traffic light installed at the San Carlos entrance and the building offers prominent sign opportunities.